As with many artists from the West, Josh Elliott is obsessed with the landscape. It’s difficult not to be when you live in a place such as Montana, a place where you are surrounded by the best nature has to offer. It takes a special talent to be able to translate the vast beauty that is the West onto a canvas that is but a few feet wide, a few feet high. 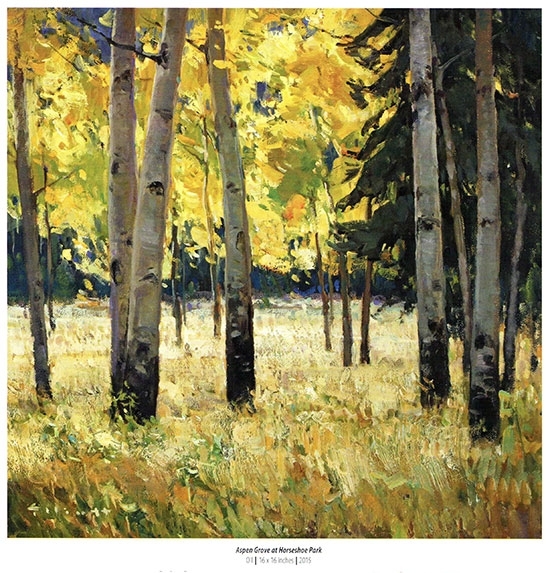 And Elliott has quickly risen in the ranks of the best artists in Montana, recently being honored by the Eiteljorg Museum of American Indians and Western Art with the prestigious Purchase Award during its annual exhibition, Quest for the West, in 2016. 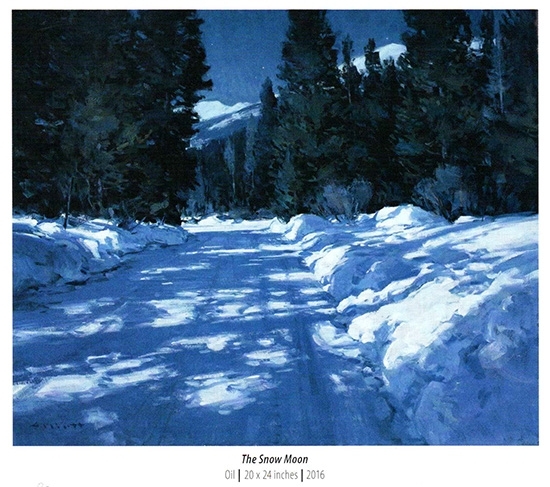 His painting, White as Snow, also won the 2-D Award last year during the Buffalo Bill Center’s Show and Sale in Cody, Wyoming. Elliott comes by this talent naturally, with his father, Steve, also a highly regarded Western artist. Elliott was born in Great Falls, Montana, but grew up in various places, including Billings, Montana, and Sandpoint, Idaho. “Both of my parents were very encouraging when it came to the arts, but my dad actually gave up practicing medicine to pursue his painting career, so I had a pretty strong role model there,” he says. In college, Elliott studied art but was leaning toward a degree in film when his father invited him to study with him in Colorado. He was already selling a few paintings, so he decided to take his father up on the offer, and it ended up kick-starting his career. He never did finish his degree, but that certainly hasn’t hampered his progress. 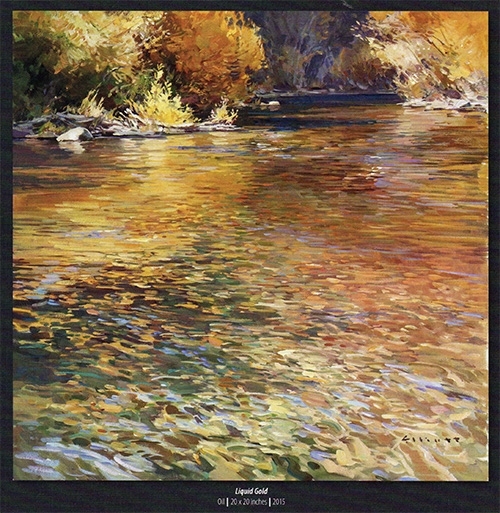 The true measure of a fine Western artist is when his influence extends beyond the small circle of his home state, and at the age of 46, Elliott has already managed to exhibit his work as far away as Georgia, Oregon and New York. He’s represented by the Medicine Man Gallery, with locations in Santa Fe, New Mexico, and Tucson, Arizona; AL. 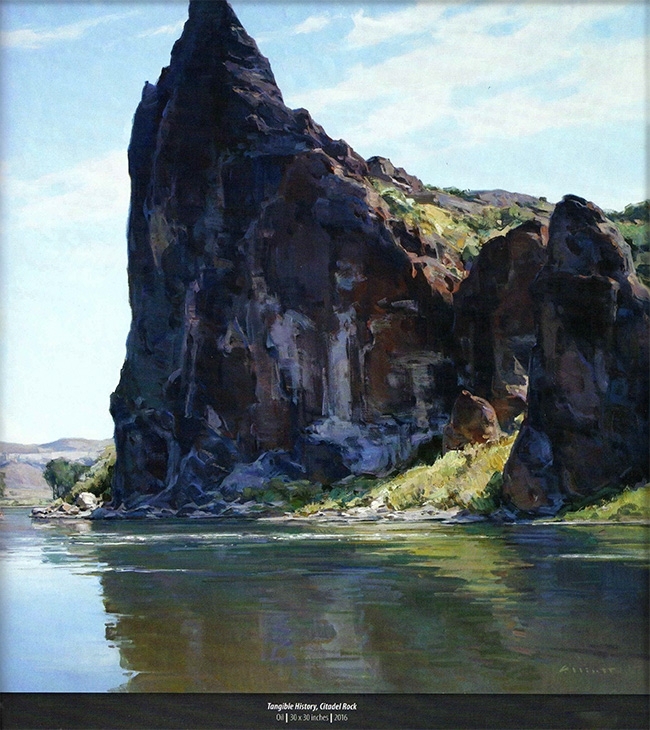 Swanson Gallery in Helena, Montana; Claggett/Rey Gallery in Vail, Colorado; and Simpson Gallagher Gallery in Cody, Wyoming. As is often true with the best craftsmen, Elliott captures the story of a place through the use of light. In a piece called Desert Sunset, Elliott paints that particular color of the sky just before the sun sets, when the landscape is slightly blurred and every color is just a bit muted. Ah yes, the understatement. Maybe it’s obvious to Elliott. But, of course, that’s what makes him a great artist.